Cook Magazine has been holding annual thanksgiving party for the past 8 years. 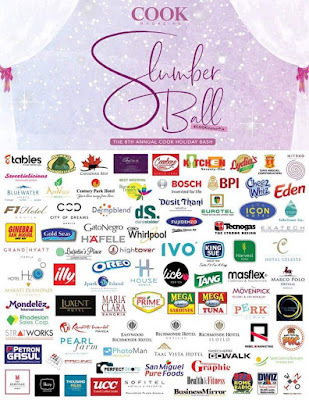 For this year, the annual feast takes on the theme "Slumber Ball - A High Gloss Pajama Party" to provide its advertisers, columnists and guests with a relaxed, fun-filled atmosphere. The current theme represents the working environment at COOK -- laid back, filled with dreamy.food and recipes. Slumber parties are always fun! We enjoyed a few candy-inspired cocktails from the Open Bar of House Manila. Chefwix Catering who prepared a spread of Buttered Vegetables, Creamy Pesto Chicken and Indonesian Pork BBQ Spareribs. Cowboy Grill prepared some Pork Sisig, Beef Caldereta Adobo, Chicken Teriyaki, Steamed Veggies and Coffee Jelly for dessert. 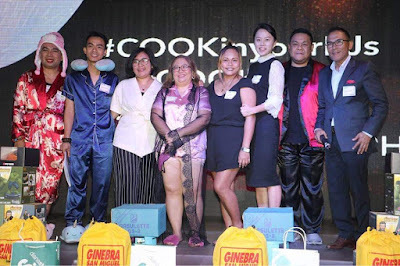 Kitchen Seventy-One owned by Chef Jhic De Guzman Dimagiba prepared Beef Caldereta, Thai Grilled Porkchop, Cajun Chicken and Baked Mac. 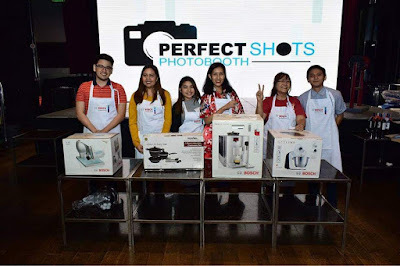 Pedro ‘N Coi presents their specialty Filipino dishes like Pansit, Pakbet, Sisig, Bistek, Roast Chicken and their famous Pinoy street food, Tunog Kalye (fish ball). Since no celebration is complete without lechon, no less than the famous crispy lechon from Lydia’s Lechon is present. 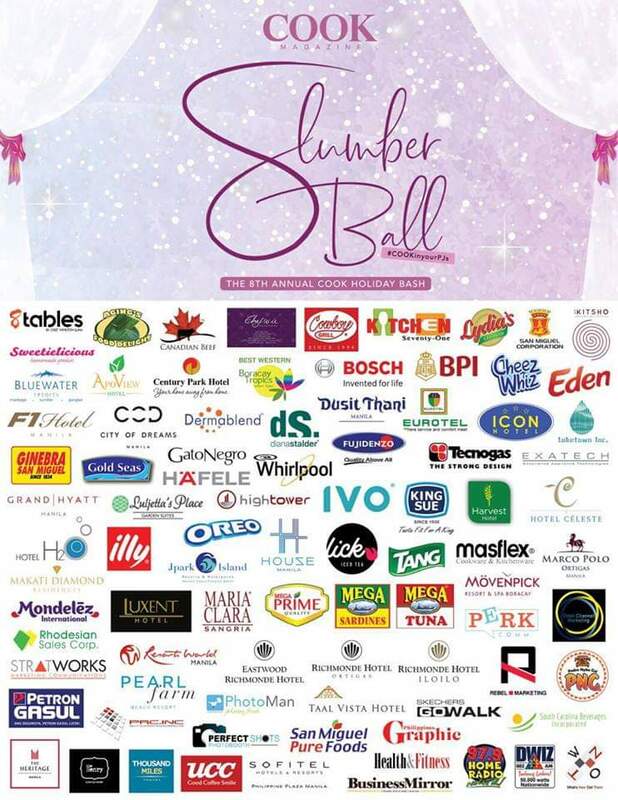 For sweet endings, there’s the Cheese Bar, Inutak, Assorted Kakanin, Pastillas Pops, Suman Cake, Pastillas Cake and Latik Fondue served by Aging’s Food Delight and delectable desserts from Sweetilicious Homemade Goodies by Chef Jojo Cuesta-Javier. 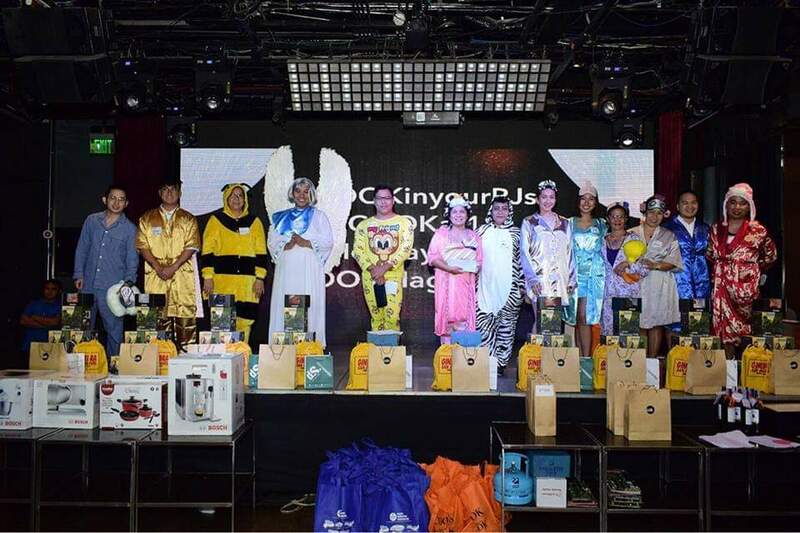 Guests wearing the most dazzling sleepwear had a fashion parade with a prize awarded to the one with the best outfit. Mayda Chua provided the night's entertainment by serenading the crowd. The event was hosted Choi Soriano and COOK Magazine's Advertising Manager Marlon Aldenese.